Our Best Answer - What is the BRIC? The Bronco Recreation and Intramural Complex (BRIC) is the new destination and gathering place at Cal Poly Pomona. Click BRIC Virtual Tour to visit online. The three-story, 165,000 square foot BRIC includes a rock climbing wall, an indoor running track, outdoor lap and leisure pool, three-court gymnasium and a multi-activity court including basketball, racquetball, five fitness studios, a juice bar, and more. The BRIC is located on the south side of the Cal Poly Pomona campus to the west side of Bronco Commons, near the Bronco Bookstore, the Bronco Student Center, and Kellogg Gym. The nearest parking is Parking Lot B and Parking Structure II. For more information on hours, membership, fees and services go to the ASI Campus Recreation website. Where is the BRIC located? What is the difference between the quarter system and the semester system? 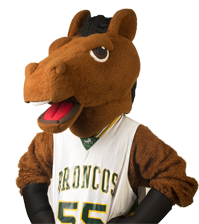 What is the Bronco Student Center (BSC)?